Jan Arendtsz is a veteran of the software industry with more than 20 years of experience in development, product management, client services, and sales roles. He founded Celigo in 2006 with the goal of simplifying the integration of cloud-based applications. He is responsible for overseeing all company operations. Jan was a Director of Technical Services at NetSuite, where he led a team that provided technical solutions within the professional services group. He also worked as a Product Manager at NetSuite, launching the company’s integration platform. Before NetSuite, Jan worked for Cambridge Technology Partners, where he implemented complex solutions for a multitude of customers ranging from Internet startups to Fortune 500 companies. Jan holds a B.S. in Computer Science from the University of Texas at Austin. Scott Henderson has worked in the enterprise software space since 2003, focusing largely on emerging technologies and applying them to business software integration problems. Scott was Celigo’s first engineer and has since led the company through multiple technology shifts. He is always reading and toying with new ideas and loves working with talented developers that have a knack for both engineering and design. Scott currently oversees Celigo’s product engineering operations along with Celigo’s product technology strategy. Scott holds a B.S. in Electrical Engineering and Computer Science from the University of California, Berkeley. 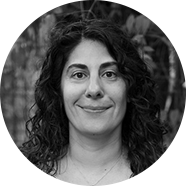 Rula Kallas has been leading Celigo’s Customer Success department since 2009, having built it into a high performing team that is passionate about customer success. Rula is responsible for setting the vision and strategy to scale Celigo’s implementation, support, and adoption teams to ensure customers achieve full value with Celigo’s products while sustaining high growth. Prior to joining Celigo, Rula held a variety of positions, spanning sales and services with industry-leading organizations including NetSuite, Evolve Software, and Ernst & Young. Rula holds a B.S. degree from Miami University in Ohio. 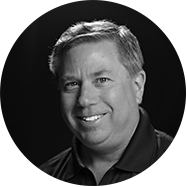 During a career spanning 28 years, Chris has been focused on sales and sales leadership roles with a variety of companies, with an impressive track record as an individual contributor, Manager, Director and Vice President of Sales. Back in the mid 90’s, Chris helped launch one of the area’s first outsourced high-tech call centers. After a few successful years in this role, Chris moved on to Newark Electronics, a Broadline Electronics Distributor. While there, Chris’ office in Palo Alto was the top producing location in North America. Chris joined WebEx in early 2000, where he spent 11 years leading several top performing sales teams. Most recently, Chris was VP of Sales for Act-On, a leading marketing automation SaaS company, where he spent seven years helping the company grow from $2M to $50M in ARR. Rico oversees Celigo’s marketing organization, where is he is responsible for the company’s brand, messaging, demand generation, outreach programs, events, and communications. Prior to joining Celigo, Rico was VP of Marketing at iCharts, significantly enhancing the company’s visibility and reputation inside the NetSuite ecosystem. He spent 13 years as the Executive Producer at Transvideo Studios, where he worked closely on marketing strategy with some of the biggest companies in Silicon Valley. In addition, Rico also ran his own consulting company, traveled the world teaching innovation and design as part of the Stanford d.school’s d.global initiative, and helped launch Unreasonable at Sea with the Unreasonable Group. Rico holds degrees in Computer Science and Communication from Stanford University. 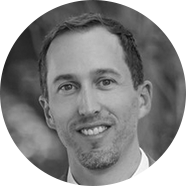 Matt Graney is a seasoned product management leader with over 15 years experience in the discipline across B2B software enterprises and startups. At Celigo, Matt is responsible for the company’s overall product vision, strategy and roadmap. Prior to joining Celigo, Matt held senior product management roles at Axway, an integration middleware vendor, where he was responsible for the global portfolio strategy. Before that, Matt led product management for strategic products at Borland Software and Telelogic (now part of IBM Rational). Matt began his career as a software engineer in the defense and telecommunications industries in Australia. Matt holds a B.E. in Computer Systems Engineering from the University of Adelaide, Australia. Mark comes to Celigo having spent the last 21 years in technology. He started his career as a software developer in 1997, building e-commerce applications and custom integrations for several years. He then co-founded and led technology and operations as CTO for Evo, a successful e-commerce company that grew from $0 to $13M in revenue in three years… While at Evo, Mark got his first exposure to the NetSuite ecosystem 15 years ago when he selected and oversaw the implementation and integration of NetSuite for internal use. He then moved on to start a career in consulting with Explore Consulting, an award-winning Solution Provider and VAR in the NetSuite ecosystem. Mark spent the last 13 years at Explore, where he specialized in NetSuite and custom software development, including the last eight years leading the professional services practice as the EVP of Services & Technology before their acquisition by RSM. Mark has worked with clients across several industries including multiple software clients and publicly traded companies pre and post IPO. His efforts for software clients included designing and developing automated processes for sales order processing, subscription management, and provisioning among others. Chris Corcoran was a co-founder and CEO of Market Share, Inc. from 1986-2011 and oversaw the successful sale of the business to Apps, Inc. Chris was an early adopter of cloud computing and Market Share, Inc. was one of NetSuite’s first customers in 1999. Chris attributes the rapid yet manageable growth of his company to his decision to implement NetSuite. After the sale of Market Share, Inc., Chris fulfilled a one year consulting agreement with Apps, Inc. and subsequently met the leadership team at Celigo. An immediate bond was formed and he was hired to head up the Account Management team in December of 2012. Chris holds a B.S. in Business Administration from Boston University and loves to travel with his wife and 3 daughters while not working. Chris Generalis brings over 20 years of experience in partner management, business development, product management, and marketing to the Celigo team. Prior to joining Celigo, Chris was instrumental in driving significant revenue through partnerships at both PayPal and Magneto. Chris started and led the Digital Marketing function at Sony Pictures in London, including pioneering the direct-to-consumer mobile business in UK, Germany, France, Italy and Spain. Earlier in his career, Chris was a business analyst and digital strategist at Cambridge Technology Partners. Chris holds an MBA from Vanderbilt University in Marketing and a BSBA in Management from Bucknell University. He currently sits on the Board of Directors for The Small Business Web, an industry association dedicated to making the Open Web the best place to build, find, and sell software to small businesses through integration. Ray Mok is Director of Finance at Celigo since 2013, responsible for managing all aspects of financial activities, including strategic planning, financial planning and analysis, investor relations, mergers and acquisitions, and accounting. Ray is a Silicon Valley veteran with over 15 years of finance experience and a successful track record of profitably growing private companies as head of Finance. Ray joined Celigo, from CustomerSat Inc. (acquired by Confirmit), a software company that offers market research and enterprise feedback management solutions, where he served as Corporate Controller. He has also held the position of Business Unit Controller at MarketTools, VP of Finance at DishPlanet and TechPeople.com (acquired by Monster.com). Ray holds a Bachelor of Science degree from the University of California, Davis. Heena Mistry heads the Human Resources function at Celigo. Heena leads people and workplace at Celigo. She is responsible for aligning business priorities with organization and people strategies including talent acquisition and development, talent management, rewards and recognition. Heena comes to us with over 15 years of experience in the Human resources function, working primarily in the startup scene. Prior to Celigo, Heena was Head of People Operations at Nauto, and Head of HR at Coho Data and GlobalEnglish. Dev Chidipi leads and manages overall operations for Celigo India. Seasoned management professional and entrepreneur with over 15 years of rich global experience and successful track record in establishing, managing and leading initiatives in results oriented environment, delivering innovation and great value to clients. Wide experience and thorough understanding of global delivery models, outsourcing, and in dealing with distributed teams in cross cultural settings. Dev Chidipi holds a Bachelor’s degree in Mechanical Engineering from Osmania University, India.